Fingerprints? Eye scanners? Forget them. The new way to verify your identity is here, and it uses the veins in your hands, with a little help from IOTA. Powered by IOTA’s Tangle architecture, this new biometric identification system will identify users based on their palm vein pattern; no invasive biochip implants required! The system, dubbed, IAMPASS stores users vein patterns, creating a unique biometic password for everyone. The IOTA blog relays that this is the solution for generating immutable audit trails for high-security environments, including data centers, airports and stadiums, as well as facility access points, smart car charging, asset management and a plethora of other identity-dependent environments. 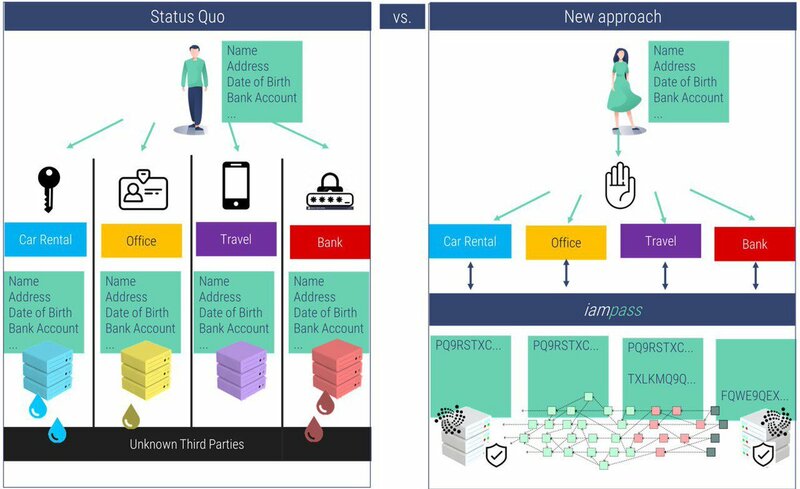 “This is why we are excited about IAMPASS Proof of Concept, which uses the IOTA permission-less distributed ledger to make identity not only portable but also give users assess and ownership over their own data. With the maturation of identity solutions like these, we will see the IOTA ecosystem providing a key technical puzzle piece for the adoption of distributed ledgers.”.